Whatever you want to do, whatever your goals and dreams, chances are somebody already did it and succeeded, or succeeded in something similar. What they know can help you avoid tragic mistakes, and help you earn success faster, easier, and safer. 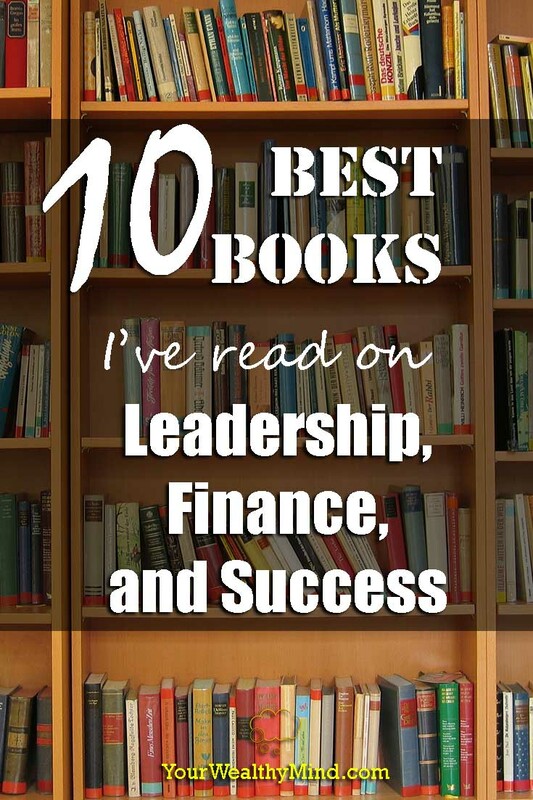 Anyway, here are 10 of the best books that I’ve read on Finance, Leadership, and Success that I recommend. Although six of them are finance books, they all contain excellent lessons that help in other areas of your life. (These are ordered by when I found and read them. I’ve also posted Amazon.com links to the books in case you want to buy them. Of course I’d put this here. As I mentioned on my previous article (“From Books to Riches”), this one is life-changing if you came from a poor or middle-class background that encourages the “graduate school and work hard” mentality. One of the most valuable lessons I learned here is that you can never grow rich by working hard as an employee, and that most people (average workers and employees) are so addicted to earning and increasing their paychecks that they forget about actually growing wealthy. This is a small book, but it’s jam-packed full of ideas. It contains tons of lessons about your mindset that this one should probably be classified as a self-help/success book. What main lessons stuck to me? What’s your thoughts and beliefs determine your results. If you have wrong thoughts and ideas (“limiting beliefs”), you’ll do the wrong things and have terrible results. For example, if you think “business and investing are both risky,” you’ll never attempt them and you’ll miss the profits and opportunities they offer. If you have GOOD Thoughts and Ideas, then you’ll have GREAT results. If you think that “business and investing are what I need to earn a better life for my family and I can reduce risk by learning to do it properly,” then what you do and what you earn would be VERY different. This one is widely known as one of the finest personal finance classics of all time. It’s a short book containing a few stories, but each of those contain very valuable lessons. The concepts there are timeless and powerful enough that I’ve written two posts (Savings and Budget Plan and How to Get out of Debt in Three Simple Steps) with the central ideas based on lessons from the book. If you’ve ever heard the phrase “Pay Yourself First” for saving and investing, THIS is where it came from and it’s definitely worth the read. Don’t let the strange title and cover fool you. This is one of the most comprehensive AND beginner-friendly books about investing that I know of. If you don’t know a thing about investing and don’t know the difference between stocks, mutual funds, etc., I suggest you read this book. 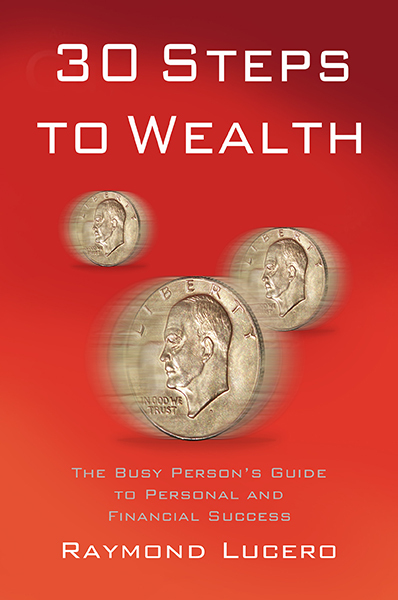 It contains a lot of basic lessons about personal finance, investments, the effects of taxes, and more. Again, if you’re an absolute newbie on finance and investing, I suggest you grab this one. This is an excellent personal finance classic thanks to one major lesson that I won’t spoil for you here. When you learn that lesson, you’ll never look at money the same way again, and you’ll have a harder time spending money recklessly when you realize what it is you’re actually wasting. It also has a plan about tracking your spending and comparing it to your income. I personally use that plan (started from 2009 when I first bought the book) and it’s an excellent way to make sure you’re living below your means. John Wooden is a legendary basketball coach that helped UCLA win 10 NCAA National Championships in 12 years, 88 straight games, and four perfect seasons. Due to his achievements, he was named Coach of the Century by ESPN and he was also awarded a Presidential Medal of Freedom. This book is a compilation of the lessons he learned and taught throughout his life as one of the greatest basketball coaches of all time. From the “Pyramid of Success,” living your values, attention to detail, taking care of your team members, discipline, commitment to improvement, and several others, each lesson lays the foundation for the next in order to teach you what it means to be an amazing leader. The commitment to excellence and improvement, love for others, and good character really resonated with me as they’re values I personally hold dear. You will feel them in every chapter as you read the book, and the way the lessons are presented amplifies their impact. This one definitely deserves its place on my top 10 best books list and kudos to Coach Wooden for writing it and sharing it with the world. When you hear the term “Millionaire,” you’d think of flashy cars, gold and diamond-studded phone covers, and things even MORE glamorous than Hollywood celebrities. That image can’t be any further from the truth. ACTUAL millionaires and multimillionaires all have one thing in common: FRUGALITY. They are IMMENSELY PRACTICAL and they DON’T waste money on unnecessary luxuries. Read this book and you’ll learn why frugality is the primary reason WHY they’re rich… and you’ll likely learn to live like them too. If you think “wisdom throughout the ages” and “Confucius… but in Spain” you’d have a VERY good idea of what this book is about. Baltasar Gracian was a Spanish Jesuit priest who lived in the 1600s and this book is a collection of about 300 aphorisms about living well. A few of my favorite examples? No time to read an entire chapter? Flip to ANY aphorism and you’ll learn something new. Ok, I admit I’m cheating here. Each of those books contain summarized lessons of several other great books. If you’ve read famous or amazing works like “The 7 Habits of Highly Effective People ” by Stephen R. Covey, “Think and Grow Rich ” by Napoleon Hill, or “The Secret ” by Rhonda Byrne, THOSE are the quality of the books that he reviews and summarizes here. Even though the full books are much more detailed and have far more comprehensive explanations and lessons, the sheer variety of the lessons and authors make and book from the “50 Classics” series more than worth it. *Note: I use these books to get a preview of the ones I want to buy next. I saved what I believe to be the best one for last (in my opinion). This one changed my life, and that’s no hyperbole. It’s so good, I bought it TWICE. One physical copy (it’s a HUGE book), and a Kindle eBook copy so I can review the lessons anywhere using my smartphone. Simple: It’s the MOST COMPLETE and COMPREHENSIVE book I’ve ever read about success. 64 chapters (the updated version has more), each ranging from personal responsibility, achieving your dreams, conquering fears, setting goals, motivation, leadership, relationships, money, and many, many more. There’s a principle for nearly any success topic you may need to learn, and just about all of them have inspiring real-life stories on how it’s been done (the author worked on the “Chicken Soup for the Soul” series). If there’s ONE book I’d recommend that you read from this entire list, it’s THIS ONE. There are many more books that I liked and would recommend, but this list is my (current) top 10. I will probably make more detailed book reviews and list more of those that I liked, but we’ll start here for now. You can achieve ANYTHING you want in life… ONLY when you LEARNED how to do it. Lifetimes of experience and wisdom are waiting for you between the pages, and all you need to do is read and learn from them. Now it’s your turn: What are YOUR Favorite Books? Share them on the comments!